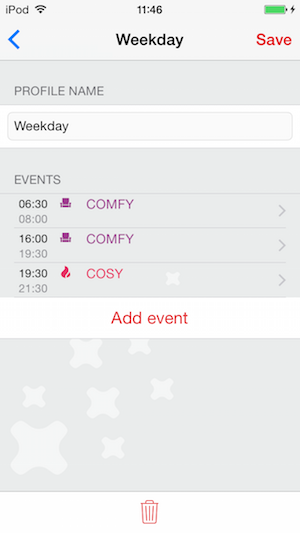 The Cosy App uses "Profiles" and a "Schedule" to control the heating according to your preferences, let's see how they work. ﻿Put simply, Profiles are schedules of heating events. 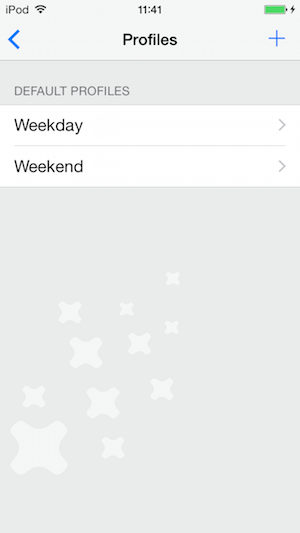 In the example to the left, there are two profiles: Weekday and Weekend. These are the two default profiles that you get out of the box. Cosy also allows for five additional Custom Profiles, we'll go through those in a bit. ﻿Here is an example of the Weekday profile, showing the schedule of when heating modes will occur. We call these heating events. For the Weekday profile, the heating mode will be Comfy from 06:30 - 08:00, and then again from 16:00 - 19:30. There is a two hour period of Cosy between 19:30 and 21:30. At all other times the system will be in Slumber. ﻿Profiles are applied individually to each day of the week. 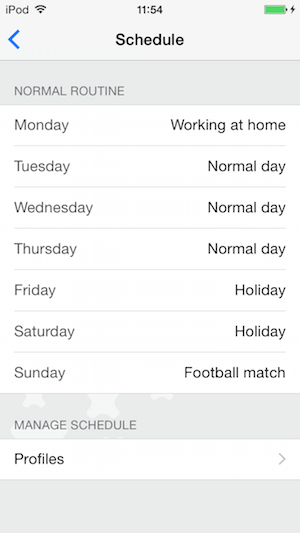 This example shows the default profile Weekday applied to Monday, Tuesday, Wednesday, Thursday and Friday. The Weekend profile is applied to Saturday and Sunday. 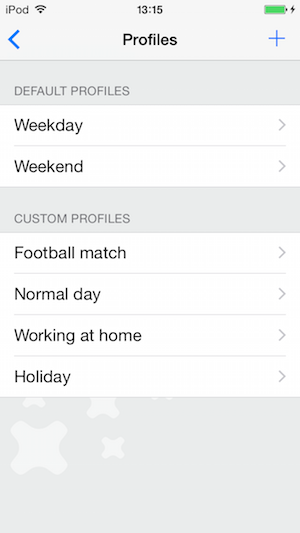 ﻿We know that no two people have the same schedule, so we've added the option to include up to five custom profiles. That means your Cosy system can have up to seven profiles in total, enough for a different one for each day of the week. Here we've added four custom profiles (using the ‘+’ button in the top right corner) and there's still space for one more. 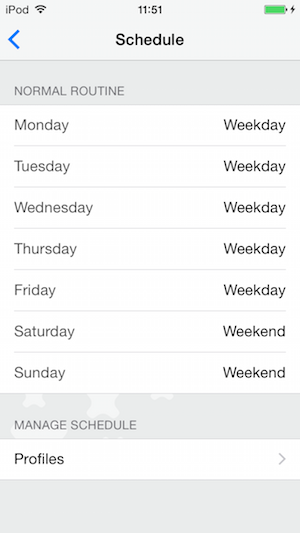 ﻿Now you can give your heating profiles names that make sense to you, so when you apply them to each day of the week you know why they are there and what they're going to do at a glance.